Hello and welcome to my blog. 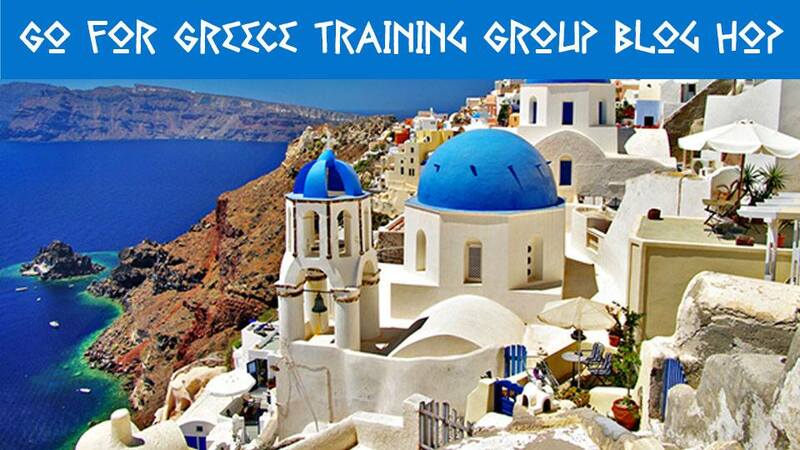 Today I am part of the Go For Greece Training Blog Hop. We are a group of like minded Stampin' Up! demonstrators from all over the world. All working towards a goal of earning an amazing all expenses paid trip to the Greek Isles. So sit back and be inspired. We have no theme for this blog hop, so you are guaranteed to see an amazing variety of projects. The products I decided to use today are from the Tropical Escape Product Suite. This was a suite that I just had to own as soon as I saw it in the catalogue. It is absolutely stunning. Here is my card. I had an idea in my head that I wanted the flowers in a frame and the leaves coming out of the frame. It sort of worked like the vision I had in my head. 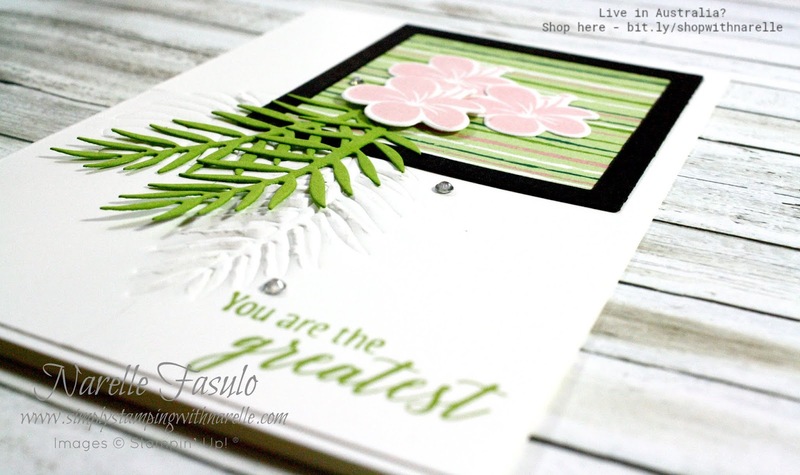 I added some embossing on the card front using the fern dies and our new embossing mats. 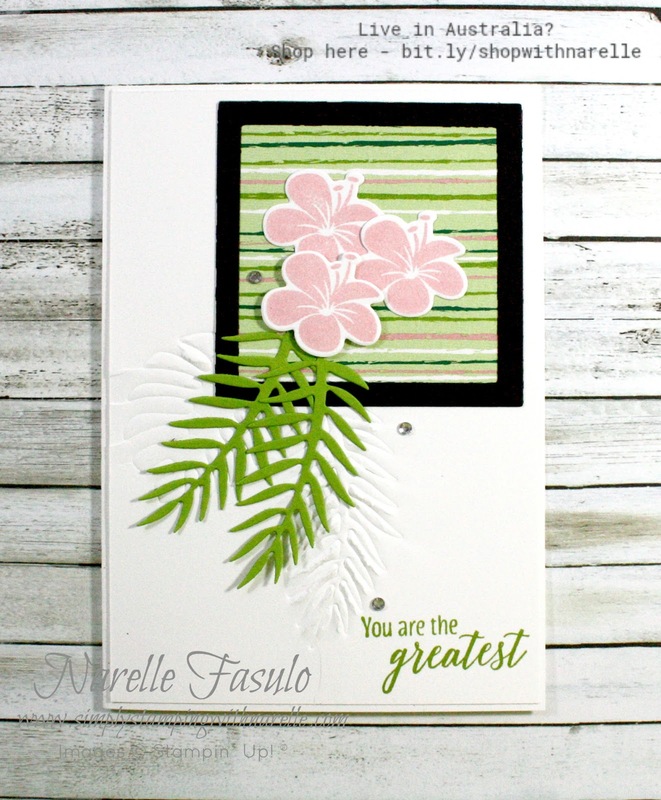 I love how these embossing mats open up a whole new world to our card making. The possibilities are amazing. Now that you have seen my projects, it's time to hop around the list below to see what everyone else has created. If you are interested in any of the products I have used on my card, please see the Product List below.